Research published today in the journal Brain reveals a new approach to Alzheimer's disease (AD) that may eventually make it possible to reverse memory loss, a hallmark of the disease in its late stages. The team, led by University at Buffalo scientists, found that by focusing on gene changes caused by influences other than DNA sequences—called epigenetics—it was possible to reverse memory decline in an animal model of AD. 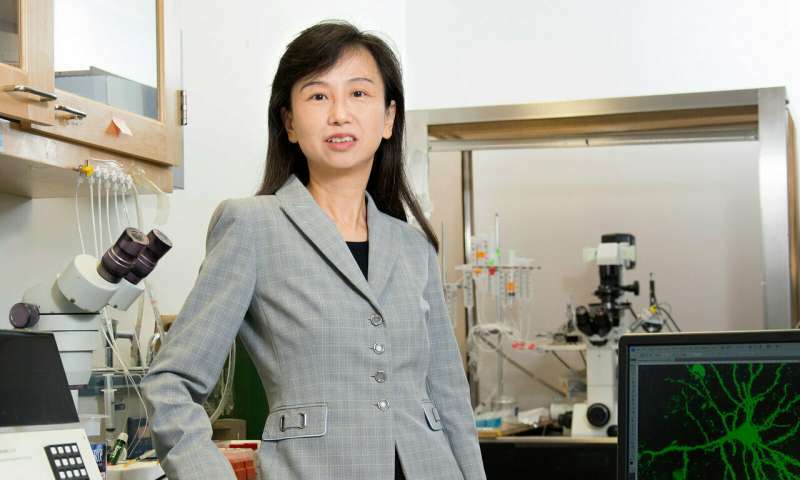 "In this paper, we have not only identified the epigenetic factors that contribute to the memory loss, we also found ways to temporarily reverse them in an animal model of AD," said senior author Zhen Yan, Ph.D., a SUNY Distinguished Professor in the Department of Physiology and Biophysics in the Jacobs School of Medicine and Biomedical Sciences at UB. The research was conducted on mouse models carrying gene mutations for familial AD—where more than one member of a family has the disease—and on post-mortem brain tissues from AD patients.